Why stop with one? Bianco Smile’s activated charcoal powder is the ultra-premium teeth whitening solution made from natural and organic coconut charcoal. It helps prevent cavities by not only whitening your teeth but by removing plaque and detoxifying your mouth. In fact, it is considered to be one of the worlds most absorbent substances; providing high grade whitening for teeth stains without the use of bleach and other harmful chemicals. 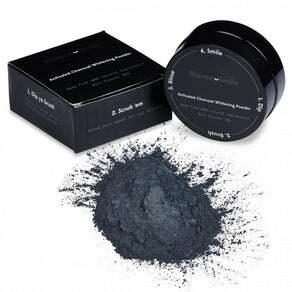 Stock up on our best selling activated charcoal powder before it runs out.